If you’re interested in finding a work at home job doing typing or data entry, you’ll see a lot of advertisements for this. Here at the work at home blog, we aim to provide helpful info. We display potential money making opportunities as well but believe people need to be aware of exactly what they’re getting into before they buy into a program to help them work from their home. Be very careful about many of the typing jobs listed as a real work at home opportunity. Many of them are in fact opportunities but can be a bit misleading as they are not what they seem. This doesn’t mean that they’re not legitimate work at home opportunities but in order to decide if they’re worth pursuing you should learn more about what they entail. You might expect a company to be willing to pay you to do typing for them. Data entry jobs and other work at home admin jobs are out there. What you might notice in the ads is that some of these advertisements say that you can make a small fortune typing short ads. What this is, is called pay-per-click advertising. Sure, you type ads but generally, no one is paying you to do it. In fact, you’re paying to post those ads. This type of job is a commission based affiliate marketing job that requires you to pay for sponsored Google advertisements advertising a product or service. If people click the ad and buy something, you make a commission. Sounds pretty good, right? Well it definitely can be and there are a lot of people making a great income at this but there’s a definite risk here. You’re going to have to pay for the advertisements and there is no guarantee of income because you only make money if people buy from you. Pay-per-click advertising is competitive and expensive. Are there real typing jobs? Of course there are companies looking for virtual assistants and administrative help. More companies than ever are utilising remote workforces. Some call center jobs and data entry jobs do pay an hourly wage for people to work from home doing mostly typing but you have to be very careful to read the fine print and know precisely what you are signing up for. Affiliate marketing definitely offers a great opportunity to make money online and develop passive income streams but it is something that is pure commission-based instead of being salary- based and by doing it, you’re working for yourself instead of working for a company. Sure, there are books and programs you can buy that can teach you how to turn typing ads into a potential income but for those looking for data entry jobs from home, they need to realise that affiliate marketing and pay per click advertising is not the same thing as a typical online data entry job. If you’re interested in learning more about work at home job opportunities such as data entry and call center jobs, dig through our archives as we list many real wah leads. 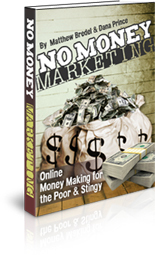 If you’re interested in your own home- based business through something like affiliate marketing, my friend Matt Bredel has recently launched his new Tru-Guru program which is a money-back guarantee membership-based program that can teach you everything you want to know about earning money at home with your computer step by step through video tutorials, cheat sheets, and more so that you can become a true guru at making money on the net. Whether you want to work for someone else or work for yourself, the work at home lifestyle definitely has some perks!